When Minh talks, she glows – especially when recounting the daily activities of her five daughters: Lien Hoa, Nhu Ngoc, Nhu Kim, Nhu Ngan, and Nhu Y. Her eldest, Lien Hoa, is a sophomore in high school and, like her mother, is very ambitious and diligent. Minh rises early to be at work by 6:30 every morning, arranges transportation for her children to school, and returns home to tend to her daughters before making dinner and winding down for the night. Lien Hoa is a top student in her class, monitors her sisters’ studies daily, and is currently taking youth pilot lessons through a free after-school program Minh found for her – one of the many opportunities her daughters are involved in. Every Sunday, the whole family helps out at Temple, cleaning the grounds and cooking meals for the monks. “I want to help out and when the kids are there, they learn about God, how to help out, and about community,” Minh says. Minh and her family currently live down the street from their future home at Cully Commons. She said that housing costs have been a burden on her. Her rent goes up every year; making it harder to manage everyday life, but she presses on. “I always have a smile on my face,” she says. 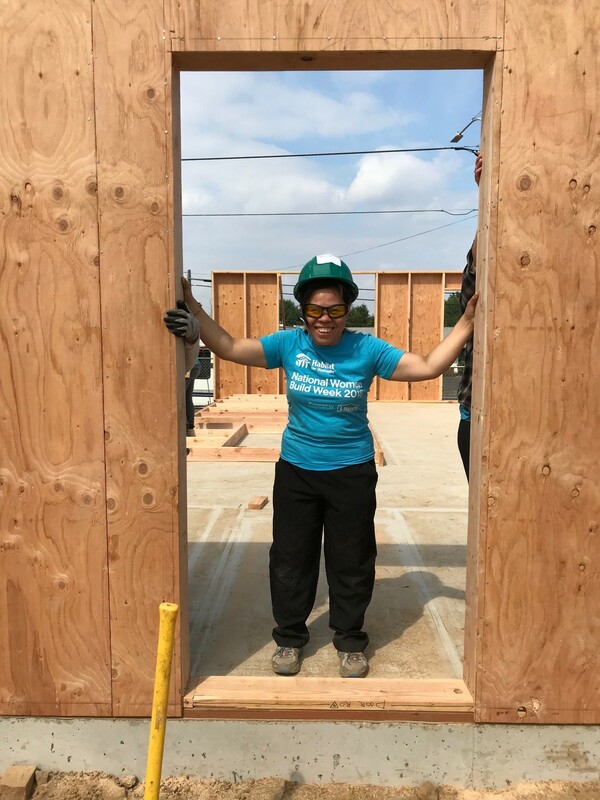 She is a woman of many talents, juggling expectations of work and home all the while putting in an ample amount of sweat equity hours at the Habitat office, ReStore, and build sites every week. Minh recently raised walls on her future home alongside the Women Build crew, who is sponsoring her home. She’s picked up several building skills, including how to drill and use a saw. 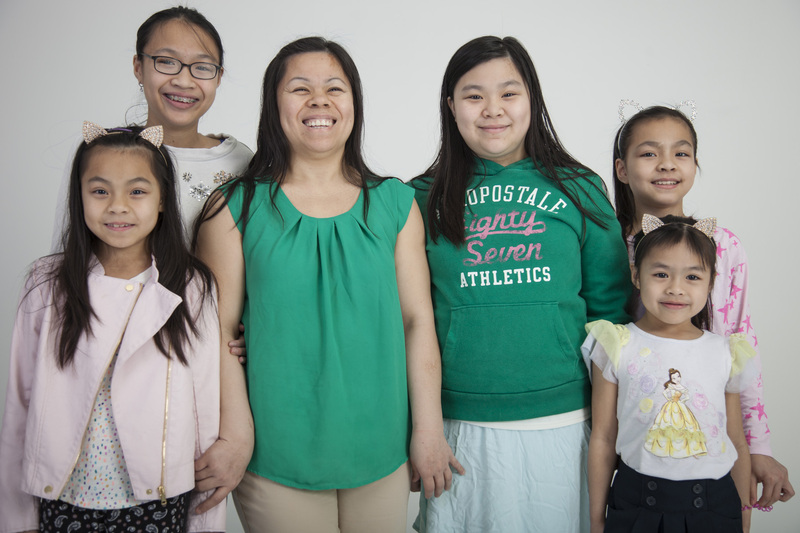 Once finished, Minh and her daughters will join a diverse group of families at Cully Commons. She’s lived in Portland for nearly 30 years; cultivating a robust community of young women within her own family. She says she’s happy to be able to stay and become a first-time homeowner.